Playing today with my eBrush. I just love this little handy tool, works with just about any marker out there. I simply went with the flower theme and the yellows and greens for my creation. On white card stock I used a flower stencil cut with my Silhouette Cameo, then eBrushed with Copic markers. 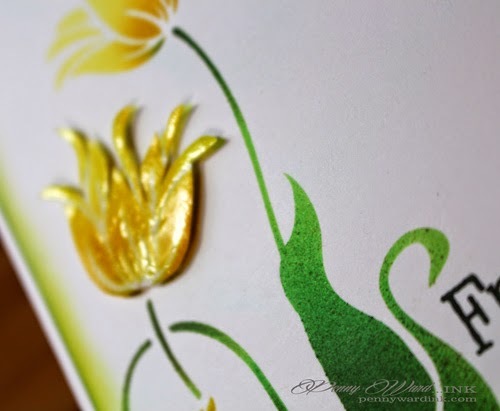 Stenciled a second flower to fussy cut and pop onto card with foam adhesive. irRESISTible Pico Shimmer was applied to this flower. Such an elegant and beautiful cased card. Love the wording too. 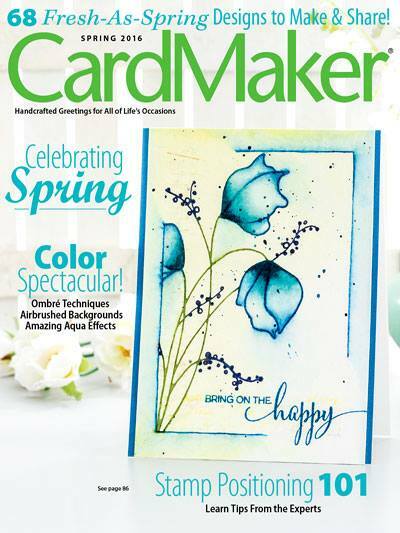 What a lovely card for spring, Penny! What a gorgeous card!!! Thank you for joining CCCB this week! Thatm dimensional flower looks gorgeous. Love it! Thanks so much for joining us at CCCB! Such a beautiful card ... Love your gorgeous flowers! Thanks so much for playing along at CCCB!! Let me just say again - the way you do flowers is so remarkable and just so inspiring!! 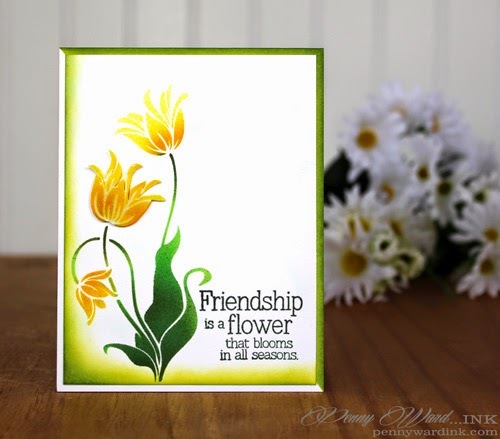 Your floral cards are always infused with grace and beauty, as is this one!!! 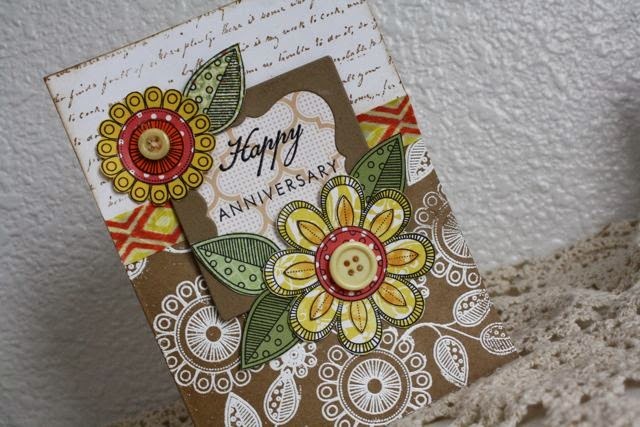 Love the yellow blooms and the pizazz you added to them! !